Having a large lump sum to invest is quite rare. Most of us build up savings by squirreling away some of our salary each month, perhaps topping it up with an occasional windfall. Some people believe this 'little and often' set up means they're not in a position to invest - I disagree, almost anyone could build a sizeable pot by investing a small amount regularly. The key is getting started - the sooner the better as your investments will have more time to grow. Take two investors saving for retirement, Alan and Bill. Both started work age 20 planning to retire in 40 years' time. Alan starts saving immediately, putting aside £100 of his salary every month. Over 40 years that's £48,000 saved towards retirement. Bill, on the other hand, waits until he's 40 before he starts saving, but puts aside £300 of his salary each month. Over 20 years Bill puts aside a total of £72,000. So who had the bigger retirement fund? Well, assuming their investments return 7% each year, Alan will be better off with a substantial pension fund of £248,552. How? The answer is compound returns. After the first year Alan had put by £1,200. 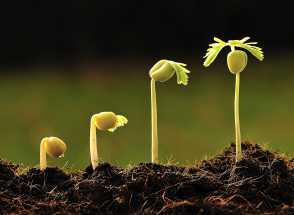 A growth rate of 7% will see this rise by £84 over 12 months - and more each year after as the previous year's returns are be added to the pot and grow themselves. So, in year 2 the original £1,200 will return 7% but Alan will also get 7% on the £84 growth from year 1. A total of £89.88. Over 40 years the effect is startling - and means Alan is better off to the tune of £80,977. However, achieving an annual return of 7% is not possible from a savings account with today's low interest rates. For those prepared to accept the risks and take a long-term view, investing in the stock market offers the potential for significantly higher returns than cash, albeit with no guarantees, and significantly more risk as you may get back less than you invest. Unlike the example above the returns won't be a tidy 7% each year. Investments will rise and fall in value over time. Instead of 7% every year lets assume Alan put his £100 a month in a popular fund starting 40 years ago. As before he will have tucked away £48,000 in total, and today their investment would be worth a staggering £1,371,957. Please note past performance is not a guide to future returns and the amount received depends on the investment returns actually achieved. Inflation will also reduce the spending power of your capital over the long term. Even if you don't have a 40-year time horizon it's still possible to build a significant sum by investing regularly. The great thing about regular savings is that they're so flexible, you can stop and start them as you wish, and change the amount you save. Save up to 5.5% on initial charges and up to 0.5% cash back annually. You choose your own investments. Wide investment choice including funds, shares and cash. 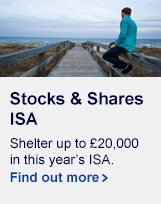 Initial savings of up to 5.5%, that's £550 on a £10,000 investment. Annual saving of up to 0.5%, that's £500 on a £10,000 investment over 10 years. No set up fee or inactivity fees. Over 3,000 funds, including 3,000 with discounts on the initial charge. Manage your account online, by phone or post. Investments can go down in value as well as up so you may get back less than you invest. How funds work, their pricing, charges and how you can benefit from discounts. 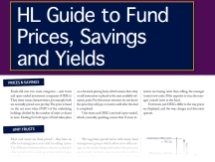 Plus – discover the different types of yields and how they're calculated.